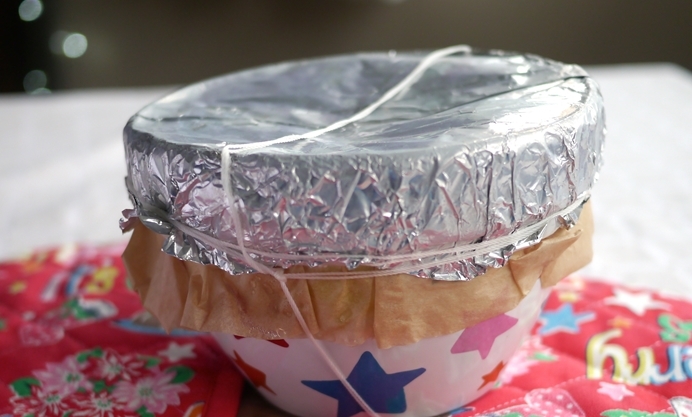 Think it’s too late to make your own Christmas pudding? Think again. 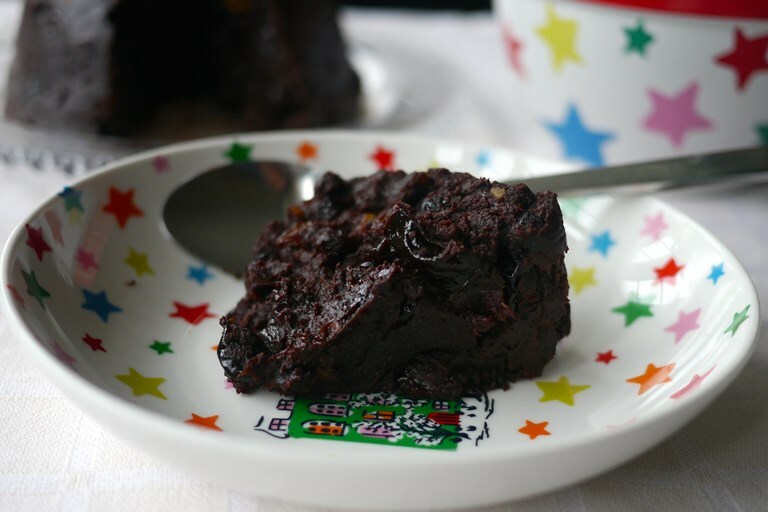 Victoria's gluten-free chocolate Christmas pudding recipe takes minutes to stir up and you can get on with wrapping your presents while it gently steams. Christmas is coming and the geese are … well, hopefully fat enough by now. If you haven't made a Christmas pudding yet, you may feel that a trip to the supermarket is the only option left, but tell that Grinch in your ear to do one. It’s time to dust off your pinny and get your festive bake on. Although, it is true that Xmas pud always benefits from a few months maturation, even if it's as new and shiny as your freshly unwrapped Christmas presents it is still guaranteed to be far more palate-pleasing than anything you'd pop in your trolley. The added richness of the chocolate is ramped up with lashings of booze, plenty of spice and a seasonal grating of orange zest. 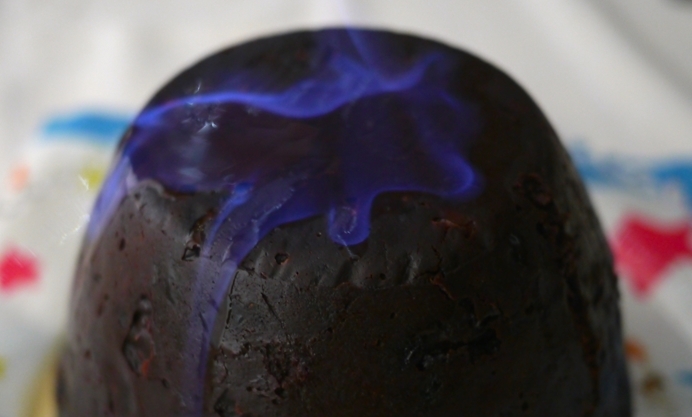 If you want to stick staunchly to tradition, you can opt for a classic Christmas pudding, but, if you'd like to inject a slick of avant-garde glamour into this year's festive staple, my chocolate Christmas pudding makes the perfect centrepiece. There is certainly no skimping on the booze in this alternative and it has the good sense to keep as long as traditional Christmas pudding, so you can make two today and be more productive than you thought possible by using the extra to serve as a decadent Valentine’s Day dessert, or get on top of next year’s festivities, by sticking your spare pud under your bed until next year. This chocolate Christmas pud couldn’t be easier and, although I made mine with rice flour, you can substitute it for plain wheat flour if catering for gluten-dodgers isn’t part of your Christmas Day plans. On Christmas day, steam the pudding for 1½ hours to reheat, before turning the pudding out and pouring flaming brandy over the top and serving with generous lashings of brandy butter, cream, ice cream or all three. Merry Christmas!